Code Engineered Systems is a family owned & operated roofing company with extremely high standards for ourselves & our employees. Our reputation is extremely important to us & we understand that providing consistent top-quality roofing & customer service is key to longevity of our business. We consider every single roof we install or repair an investment in our company’s reputation, understanding that word of mouth is by far the most effective form of advertising. In fact, the majority of our roofing work comes from referrals from our long list of satisfied customers. Code Engineered Systems, Inc. provides honest & affordable expert roofing for the entire state of Florida with our main offices in Tampa FL. and Panama City FL. With more than 40 years of roofing experience and thousands of residential & commercial roof replacements and repairs under our belts, you can feel confident knowing that REAL ROOFING PROFESSIONALS are at work. Code Engineered Systems provides honest & affordable expert roofing for the entire Florida Panhandle (Panama City, Destin, Fort Walton, Pensacola, Tallahassee) and the entire Tampa Bay area including Tampa, Plant City, Riverview, St. Petersburg, Clearwater, Bradenton, Sarasota and all other surrounding areas within a 50 mile radius of Tampa FL. With over 40 years of experience roofing and thousands of residential & commercial roof replacements & roof repairs under our belts, you can feel confident hiring our roofing company for any of your roofing needs. We are staffed with expert roofers and roofing crews ready to tackle any type of roof replacement or roof repair needed in Panama City and the Tampa area. Our expert roofers and roofing crews specialize in specific types of roofing systems allowing our roofing crews to be efficient experts in the specific types of roofs they install or repair. We have specialized shingle roofing crews, tile roofing crews, metal roofing crews, and commercial roofing crews. 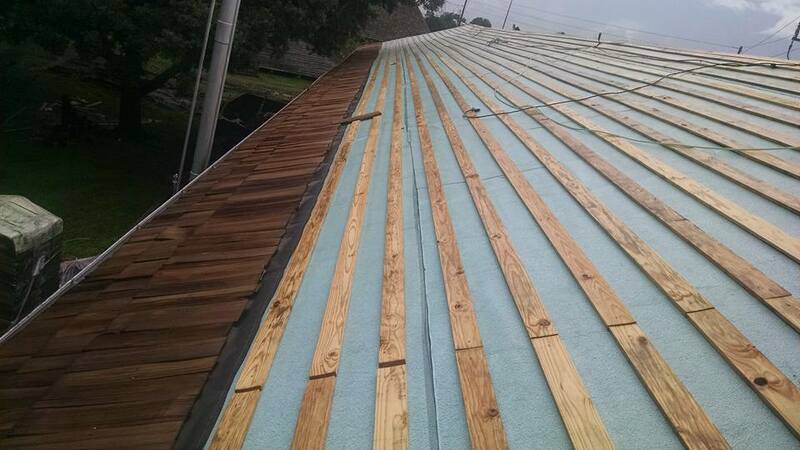 Our roofing work is guaranteed 100%. 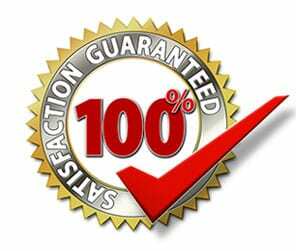 We are certified GAF installers offering a 50 year non-prorated transferable materials warranty. We know that word of mouth is the best form of advertising and that keeping our roofing customers satisfied keeps us in business. When we install your new roof not only are we providing you with the excellent work and service that you pay for, we are also investing in our reputation all over the state of Florida from Panama City to Tampa. You can be certain that our post job customer service will be as good as the customer service we provide before and during the roof job. Florida State Fair Grounds, Alabama State University where we installed the TPO roof on their new football stadium, and the United States Army where we installed a TPO roof on the Battle Command Training Center on Fort Stewart Georgia. 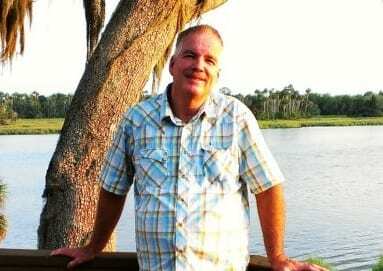 Our company’s experience and reputation is backed by the reputation of our General Manager Tim Hutchinson who began his roofing career in Pensacola Florida back in 1976. Tim’s reputation can be proven with a long list of both residential & commercial roofing customers all over the state of Florida. Our customers have been so happy with the quality of our work that they keep our staff and roofing crews busy with all the referrals they give us. This is because before all else our customer’s satisfaction with the quality of the roofs we install or repair come before anything else. Our philosophy is that honesty and integrity will keep us in business in the long-run and it hasn’t failed us yet. Our owners & managers are directly involved in and oversee every residential & commercial roof installation, re-roof, and roof repair in the Panama City & Tampa Bay area ensuring that our customers are provided with the highest quality roofing services. This is achieved by not only personally being involved in every job, but by also continuously investing in the training of our roofing staff and the work environment encouraging personal growth and loyalty to our company and our company’s customers. If you are in the Panama City or Tampa area & would like a FREE ROOFING ESTIMATE please call us or simply fill out our form here on our website and someone will reach out to you within 24 hours. We look forward to working with you. Code Engineered Systems offers residential roofing and commercial roofing for the entire Florida Panhandle including Panama City, Destin, Fort Walton, Tallahassee, Pensacola and all areas in between. And we also service the Tampa Bay area including Hillsborough County, Pinellas County, Pasco County, Manatee County, Polk County, Sarasota County, Plant City FL., Clearwater FL., Brandon FL., Largo FL., Apollo Beach FL., Riverview FL., Ruskin FL., Sun City Center FL., Oldsmar, Town n’ Country FL., South Tampa FL., New Tampa FL., Temple Terrace FL., New Port Richey FL., Hudson FL., Bradenton FL., Sarasota FL., Lakeland FL., Plant City FL., Land o’ Lakes FL., Brooksville FL., Dade City FL., and all surrounding areas.